The global goal of the COFNET project is to advance in the theoretical and technological development of neuro-inspired event-based sensing and processing systems and demonstrate its potential to solve practical problems in a more efficient way than conventional technologies do. 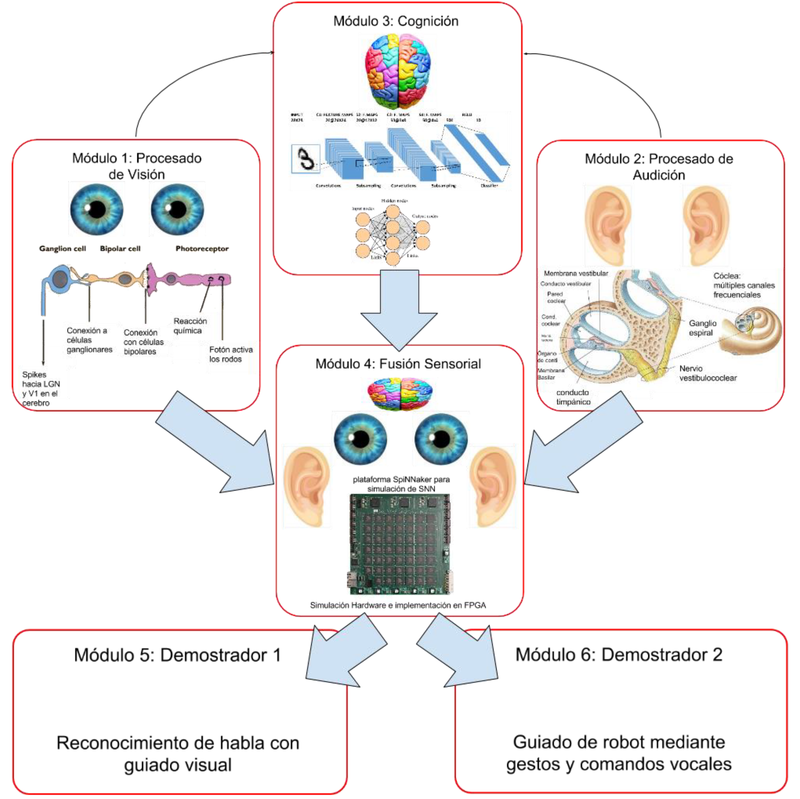 In particular, in the COFNET project we will address event-based vision and audition sensing processing, event-based vision and audition recognition systems and their training, and the fusion of these sensors information to perform multisensory recognition tasks in real time. In COFNET, we are trying to demonstrate the superior performance of the event-based technology in two practical problems. The first one is visually guided speech recognition in a noisy environment, and the second one is a robot guidance through gesture plus voice commands.